Jamestown Awning offers a variety of commercial awnings and awning solutions to meet your specific business needs. 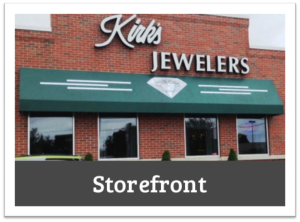 Call attention to your business by adding a bright and beautiful awning to light up your store front. Add your company logo for an extra flair. Awnings not only add curb appeal, they also keep your customers, employees and assets protected from the elements of the weather. 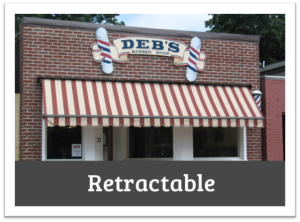 ‏Storefront: Storefront awnings not only are visually appealing and call attention to your business; they also keep your customers protected from the weather. Available in a wide variety of colors and patterns to match any décor. 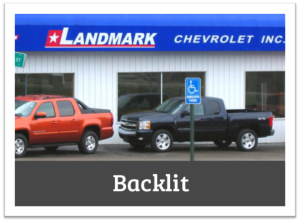 Backlit: Backlit awnings really show off your business and grab your customer’s attention. Illuminate the front of your business with your company logo. Add a splash of color and interest to your building today! Enclosed Entrance: Entrance awnings offer a great way to add style to your business and protect your customers, employees, and assets. You can also add sides to block the harsh winds, rain or snow. Add your name and logo for extra appeal and business recognition. 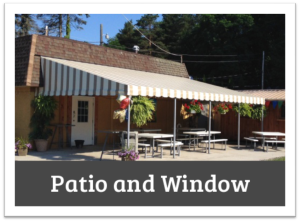 Patio & Window: Add character to your business with new custom patio and window awnings. Expand your outdoor dining space for your customers or employees. Available in a wide variety patterns and colors to compliment your business. Retractable: Looking for a way to cover your customers from the elements but still want to enjoy the sunshine? Then a commercial retractable awning is the answer. Offered in a wide variety of colors and patterns to match your storefront. Add your company name or logo for recognition. 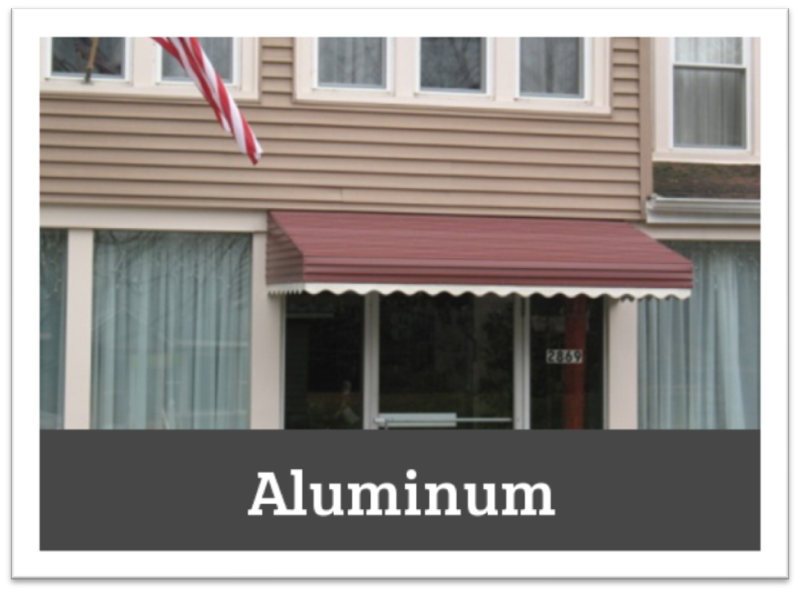 Aluminum: Aluminum entrance, door, and window awnings are great ways to add character to any business. With year round use they require little to no maintenance. 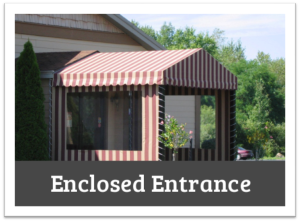 Create a large aluminum entrance awning to keep customers dry all year long. Jamestown Awning and Party Tents offers Commercial Awnings in Jamestown, Lakewood, Mayville, Westfield, Chautauqua, Bemus Point, Ripley, Findley Lake, Warren, Dunkirk, Fredonia, Bradford, Salamanca, Alleghany, Olean and many other areas throughout Western New York and Northern Pennsylvania. We have created thousands of awnings since 1964. There is no job too big or too small! Call us today to get your Commercial Awnings!